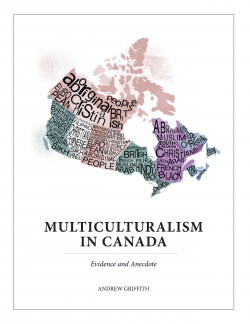 Relatively standard, but quite distinct from the principles embedded in the Canadian Multiculturalism Act. Statement — Minister Kenney issues statement to celebrate Multiculturalism Day. Canada’s version of Australia’s ‘history wars’ (under the Howard governmetn)? Scholars, authors wary of government review of Canadian history – Politics – CBC News. History repeats itself. Lack of focus group testing and detailed question-by-question analysis leads to predictable result of more unsuccessful applicants. Undermines the sound policy rationale for stronger knowledge of Canadian citizenship and greater program integrity. More people failing revamped citizenship tests – Politics – CBC News. One of the better discussions on laïcité, largely ending up on the Bouchard-Taylor modèle of laïcité ouvert (but not quite). Aux sources de la laïcité | Le Devoir. Good profile of Brampton and new Canadians. Likely similar story in Richmond, but with Asian Canadians. How Brampton demonstrates the new vision of Canada – The Globe and Mail. Quebec Soccer Federation reverses controversial turban ban – The Globe and Mail. Behind the press release – a dramatic drop of 37 percent in number of new citizens – from 181,000 to 113,000 in 2012. News Release — Improving the Citizenship Application Process. Historical recognition at the Banff Cave and Basin site – community versus broader narratives. Controversy dogs exhibit on First World War internment – The Globe and Mail. As always, Quebec is different on how it handles reasonable accommodation issues, not to mention the double standard between expressions of Catholicism and other religions. Quebec has a strange view of secularism – The Globe and Mail.